As many of you know, the V Wagon is gone, which means it’s time to start the search for another car to write about. Feel free to make suggestions here, or over at the Jalopnik thread on the same topic. The contest ends Sunday, December 14, at 11 a.m. my time. As you can see from the photo below, there are three categories and – for the lucky winners – three distinct, incredibly valuable, highly sought-after prizes. 1. Worst suggestion. Jalopnik’s own Michael Ballaban may have won this earlier today by suggesting the 2014 Toyota Corolla, but I’m leaving it open in case someone feels brave enough to try and take him down. Here, too, it’d be nice if you submit a link along with your suggestion. For instance: we all know a 4-cylinder Isuzu Amigo is a bad idea. But you can’t just say that. You have to find one. Preferably with 1990s-style pastel lettering on the side. 2. Best car I’d buy if I could find. 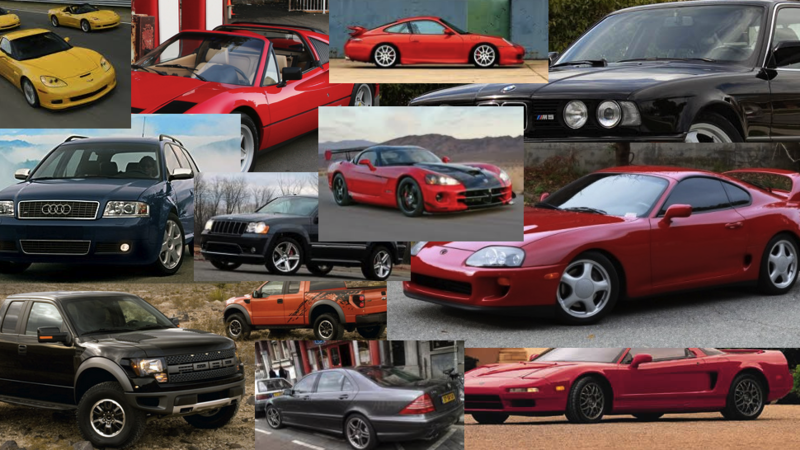 What’s the best suggestion of a car that would be perfect to write about, if only I could find one? The key here is to find some car that would be really, really, almost absurdly cool, except that it’s really hard to find. Note that this means the car actually has to be really hard to find. You can’t just suggest the Honda Pilot. Those are everywhere. My neighbor has one of those. You’ll need to try harder. The prize here is a Jeep baseball cap, which I received for free at a Jeep press event. I would make a joke here about Jeeps never being used off the pavement, but there are a lot of Jeep people on this site, and many of them have guns. So with that in mind, let me say that this hat would be perfect for hunting. 3. Biggest surprise suggestion. The goal here is to come up with a suggestion that surprises me. Something I hadn’t considered. Something I didn’t know existed. Something so exciting and unusual that merely seeing it might cause me to make a verbal utterance of surprise, despite the fact that I’m sitting here by myself. That’s when you’ve really succeeded. The prize here is a Cadillac Escalade beach towel, which I have used many times. In fact, I might be currently wrapped in it as I write this, unless you find that creepy, in which case I am definitely not currently wrapped in it, but man is it soft. BONUS: I will wash this before I send it to you. CAUTION: I may use it again after I wash it, if I run out of towels. In terms of the Twitter contest, I am the overall judge and jury, which means I could award the prizes to my mother. Unfortunately, much like the rest of my Twitter followers, she also generally ignores me. So that’s unlikely. So now: let’s get started! Bring on your suggestions, bring on your tweets, and for God’s sake, someone please get these Hummer H2 bedsheets out of my house. What about a Ferrari F355 Spider in Jonesboro? Posting this from my phone since for some reason I can’t post comments on the website today. Why? Because I almost bought one then realized I could only afford an Eclipse GS-T and that 3000GT was the size of an aircraft carrier in comparison. Another why? 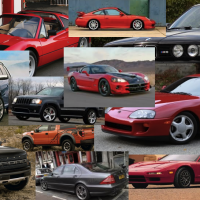 Because back in the day it was compared to the other cars in your provided picture: NSX, Supra, etc. Last why? Because its bad (heavy), sort of hard to find these days (when was last time YOU saw one?) and its a surprise that I thought of it when clearly a 300ZX twin turbo was (is?) a better choice. I’m sure I’m not the first to mention this, but a Tesla Model S. I also saw a first generation Toyota Supra this morning and had some serious fantasy car envy. What’s the price cap? What about 3000GT? Oldsmobile Bravada (it exists!). Preferably second generation, certainly not third. Or how about a Monteverdi Sierra? Why yes, it is secretly a Dodge Aspen! What an odd guess. Trabant Station Wagon – from one end of the station wagon segment to the other!